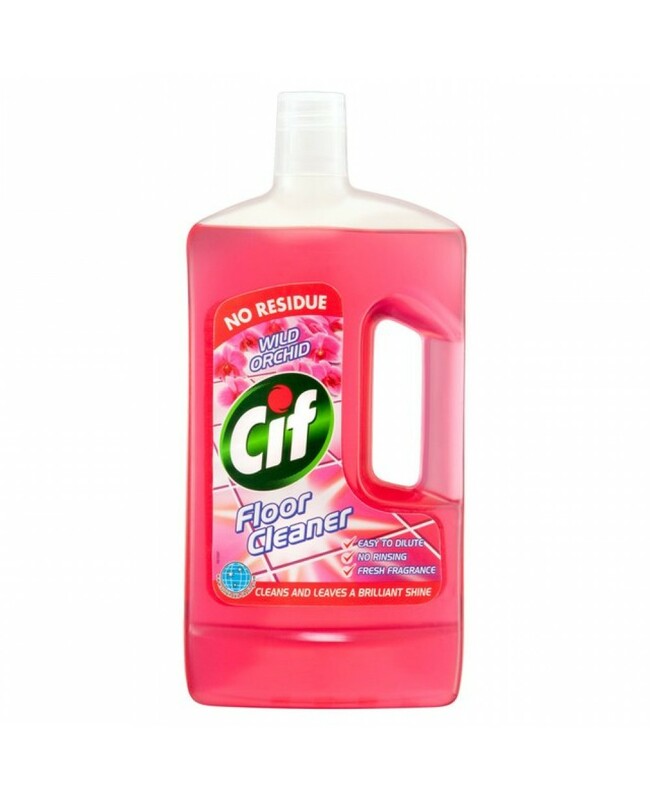 Cif Wild Orchard Floor Cleaning Liquid Is Ideal For Effectively Getting Rid Of Stubborn Dirt - It Is Uniquely Formulated To Leave A Brilliant Clean Shine & A Fresh Wild Orchard Fragrance! Freshly Scented With Wild Orchard. Uniquely Formulated To Tackle & Eliminate Stubborn Dirt! Easily & Effectively Removes Footprints, Light Grease And More! Leaves A Brilliant Fresh Shine! Ideal For Cleaning Laminate, Vinyl, Linoleum, Ceramic & Washable Or Varnished Wooden Flooring. Always Use In Accordance With The Instructions In The Label.